Currently-enrolled students of Waltons New School of Music may receive a 10% discount when booking tickets (up to 4) for this concert. Go to Student Discounts for more information. 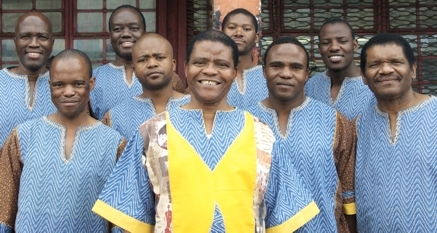 Hailed as ‘South Africa’s cultural ambassadors’ by Nelson Mandela, Ladysmith Black Mambazo have been performing powerful, uplifting songs that emote the struggles and passion of South Africa for over forty years. The group sing a capella isicathamiya and mbube music in a joyously energetic performance that combines stirring choruses with softer, almost whispering chants and tightly choreographed dancing, creating a musical and spiritual alchemy that has touched a worldwide audience representing every corner of the religious, cultural and ethnic landscape. 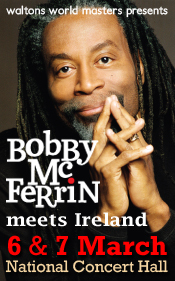 They have received fifteen Grammy Award nominations and three Grammy Award wins, and have collaborated with numerous artists from around the world, including Paul Simon on his groundbreaking Graceland album, Stevie Wonder, Josh Groban, Dolly Parton, Ben Harper and many others. This is one concert you won’t want to miss!